Word & Deed has a holistic approach to child sponsorship that addresses the physical and spiritual needs of the entire family. But it is much more than a child sponsorship organization. It also promotes Christian education, orphan care, disaster relief and vocational training as it addresses the spiritual and physical needs of people in the developing world. And it does all this according to biblical principles. W&D communicates needs and opportunities to North American Christians, while providing accountability and encouragement through partnerships with Christian organizations in other countries. In its work with indigenous organizations, it focuses on the gospel and emphasizes self-sufficiency. 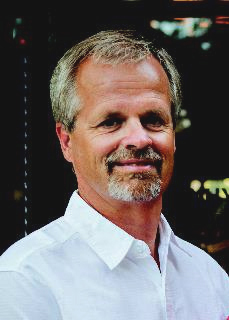 Recognizing its steady growth and increasing network of connections in the Reformed community, Christian Renewal talked with Word & Deed’s Director of Public Relations, Rick Postma, about the organization and its decision to merge with another ministry. Christian Renewal: Rick, some of our readers may not be acquainted with Word & Deed Ministries or its history. When was Word & Deed organized? Rick Postma: The Canadian arm was started in 1994 and the US arm in 2001. We work together as Word & Deed North America with sub-committees consisting of board members from both sides of the border overseeing our projects and promotion activities. CR: Who or what was the driving force behind its organization? RP: Woord en Daad (Word & Deed in The Netherlands) which began in the 1970s in response to the major earthquake in Guatemala, planted the idea of starting a sister organization in the 1992 timeframe. Key founders of Word & Deed Canada included Rev. Cornelis Pronk (of the Free Reformed Churches) and Bernie Pennings (our Project Director). Key founders of the US arm included Peter Van Kempen and Heidi Pronk. It was recognized early on that Word & Deed should be a cooperative effort involving like-minded churches and individuals. From the beginning, the board consisted of United Reformed (URC) and Free Reformed (FRC) members with Heritage Reformed, Canadian Reformed and Orthodox Presbyterian board members joining us since then. CR: How long have you been involved with the Word & Deed team? RP: I had the privilege of joining in November, 2005. I visited Colombia one week later in what I have called “a tour de force” as far as an introduction to a new job is concerned, including a heart wrenching visit to a home for abused girls just outside Bogota. I haven’t looked back since. Bernie Pennings, our project director, has been involved since Word & Deed’s inception and John Otten, who ran a hospital in Cubulco, Guatemala, for 17 years before returning to Canada and joining our team is our administration director (he is also project manager for the majority of our Latin American projects). CR: Word & Deed recently announced its intention to merge at the end of this year with an organization called Children of Light (COL), which is a Canadian charity supporting needy children in Indonesia. In what ways will this merger benefit both organizations? RP: We have been delighted to welcome a number of organizations to the Word & Deed family over the years. Many readers will recall Adoration Christian Centre (Haiti) joining us in 2011 as well as the St. Luke Hospital Construction Project in the Dominican Republic, earlier this year (CR articles covered both developments). COL had grown to the point where Andy & Gerda Vandenhaak, founders of the Canadian charity supporting the work, along with their board, realized that it was exceeding their capacity as volunteers to shoulder the workload. CR: The leaderships of both organizations have met several times and W&D made two investigative trips to Indonesia prior to finalizing merger plans. What led to these meetings exploring merger options and how will the merger work? RP: Word & Deed’s approach to having other organizations “join the family” includes ensuring that our respective mission and mandate align; that there is agreement on the why/how/who of running projects and that a strong relationship has begun to develop. When COL heard about Adoration Christian Centre becoming a project of Word & Deed, they approached Word & Deed about doing the same. In addition to the two visits to the field and discussions with COL, a survey was sent to all current supporters of COL and a strong majority indicated their approval of the merger and indicated that they would continue to support the project through child sponsorship. The continued commitment of current supporters was one of the key requirements for the merger to go forward. As of January 1, 2014, all COL sponsorships and project oversight will be handled by Word & Deed in partnership with the indigenous COL team in West Timor [West Timor is the western half of the island of Timor and is part of Indonesia]. CR: In the past, Christian Renewal reported how Norlan De Groot was able to fulfill a desire for mission work by writing curriculum for Third Millennium while his family remained in their northwest Iowa home. More recently Renewal reported on the creative arrangement Word & Deed developed with Norlan De Groot, allowing him to continue his existing work of writing curriculum for Third Millennium while also performing public relations for Word & Deed. How is that arrangement working out for all those involved? RP: Word & Deed is very pleased with the arrangement involving Norlan De Groot. We needed someone to help us in the mid-western states and he is a wonderful addition to our team. I met him for breakfast in SiouxCenter last spring  and it quickly became clear that he would be a great fit. After lots of coffee, we came up with the idea of having his work for Third Millennium become a project of Word & Deed. This proposal was approved by both organizations. As a result, he is spending 50% of his time writing theological curriculum for Third Millenium and 50% doing promotion work for Word & Deed Ministries. RP: While we work with indigenous churches and organizations, we also partner with a number of the missions of our supporting churches. Some examples include an HIV/AIDS clinic in South Africa with the Heritage Reformed Mission and several projects in Ecuador in partnership with Ecuador Missions (an FRC missions group) which also involves MINTS (a URC ministry – Word & Deed pays for building rental, coordinator and materials). On the promotion side, we now have 21 Business Groups across North America with members from Reformed and Presbyterian churches who support projects and then, when able, visit the projects they have supported. There are now almost 400 businesses and professionals involved in these groups which meet once per year. Several new groups are planned by the end of the year. For more information please see our website (wordanddeed.org). CR: What plans has Word & Deed made for the future or what possibilities is it currently exploring? 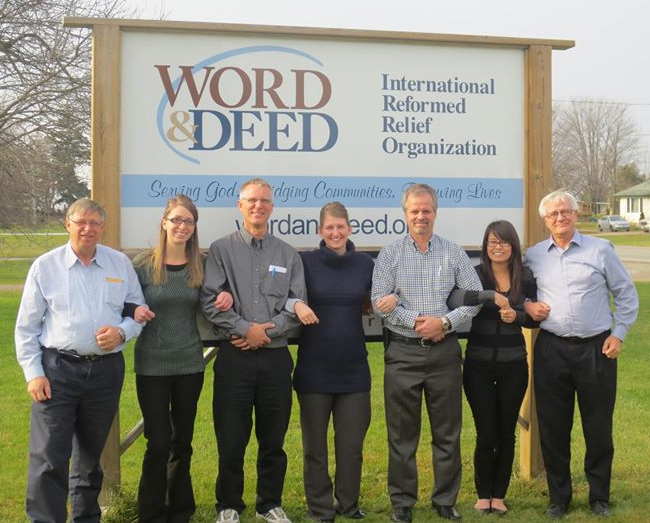 RP: Word & Deed has positioned itself with NAPARC (North American Presbyterian and Reformed Churches) member churches, at least those who attend the annual NAPARC missions meeting in Philadelphia (the URC, HRC, ARP, OPC, RPC, Can Ref) as a potential diaconal partner in their missions efforts. In a number of cases, this is already happening. CR: Why should Reformed Christians support Word & Deed? RP: As implied by our name, the boards and staff of Word & Deed North America are committed to maintaining a focus on the need for those we seek to help to come to know the Lord as their Saviour and for His people to grow in their relationship with Him. Sadly, far too many organizations having begun well have lost this critical focus. This is also reflected in our commitment to employing a biblical methodology and worldview. Furthermore, Word & Deed also puts a great deal of focus on project sustainability and local leadership. If at all possible, we prefer to see local projects run by local Christians from day one. In partnership with Reformed churches in Nigeria, for example, we have two Christian schools which have grown to a total of 2,000 students. The project was run by local Reformed Christians from day one (local leadership) and after 12 years, is totally self-funded (sustainability) from an operating cost point of view. After we finish funding an auditorium construction project (designed and built by Nigerians), our support will end in 2014 and we will pull away (I often use the temporary nature of scaffolding in a construction project to picture Word & Deed’s role). Word & Deed is careful not to take the role of the Church but rather partners with the Church by coming alongside local indigenous churches or the missions of a number of our supporting churches. Word & Deed began in 1994 with one project – funding John Otten in his role as director overseeing a hospital in Guatemala (he has now joined our team as noted elsewhere). Today, we are supporting 53 projects in 12 countries. We, together with our partners and supporters are, and continue to be, astonished by what the Lord is doing. What a privilege to be involved in this work. CR: If you could convey one final thing to readers, what would you like them to know about Word & Deed? RP: In addition to the three areas of emphasis highlighted above, we covet everyone’s prayers that God would bless all the projects to the salvation of sinners and the extension of His Kingdom. Soli Deo Gloria! The above interview by Glenda Mathes appeared on pages 15-17 of the December 11, 2013, issue of Christian Renewal.